Fish out your flares and grab hold of your bell sleeves because rattan is back. 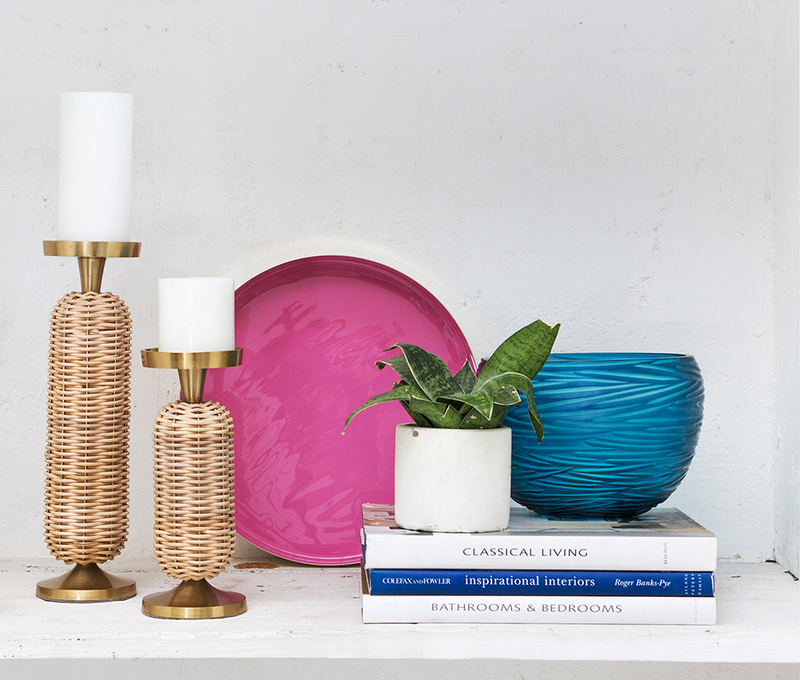 Once left to languor and gather dust, rattan has shrugged off its dated rep and strutted into the spotlight as 2019’s hottest homeware. 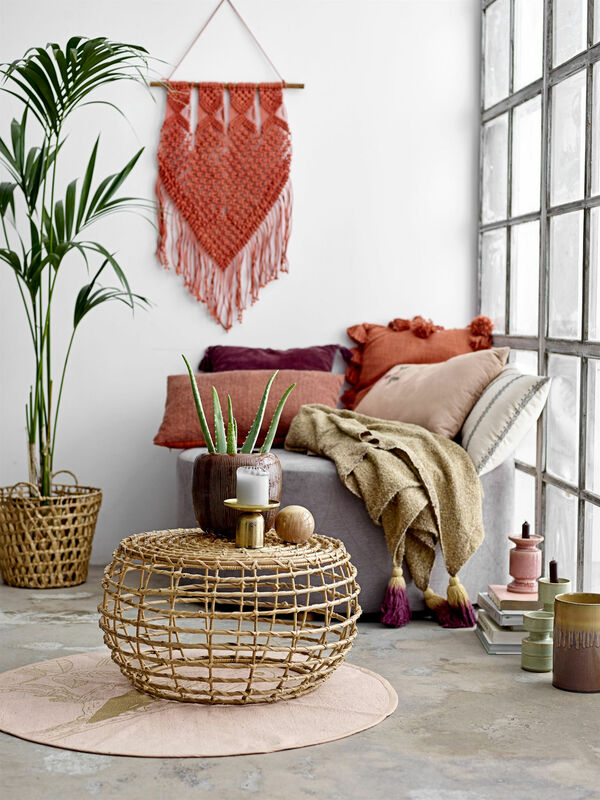 This year’s comeback kid is everywhere we look, from bed frames to armchairs, mirrors, and lampshades in a plethora of tactile finishes – and just a few wicker accents are all you need to transform a lacklustre interior into a organic-inspired oasis. Plus rattan is sustainable to grow, which means the only thing you have to worry about that woven coffee table costing is your wallet. 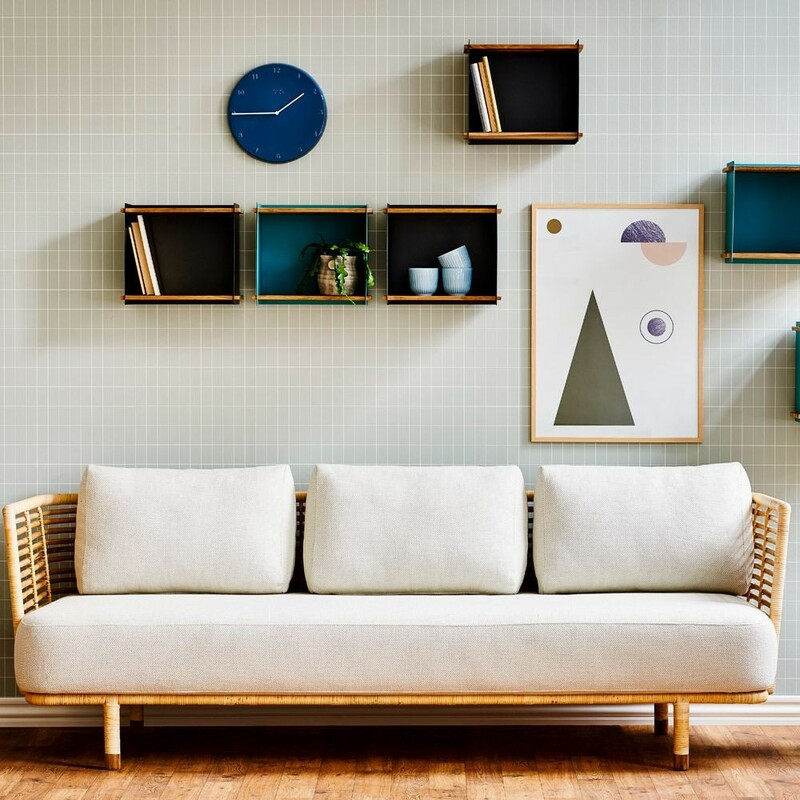 So whether you want to go all-out and invest in a major piece of rattan furniture or simply add a few decorative flourishes here and there, here’s how to incorporate this 70s revival into your home. Once the province of the patio, rattan is moving indoors and we couldn't be happier. A wicker sofa is the perfect statement piece to elevate an uninspiring interior and add a tactile flourish to a living room. If you're looking for function and form in equal balance, this elegant sculptural settee from Houseology doubles up as a spare bed, so guests can snooze in style. HERO BUY: Three-seater sofa in natural rattan, £3,165 ($4,116), Houseology. 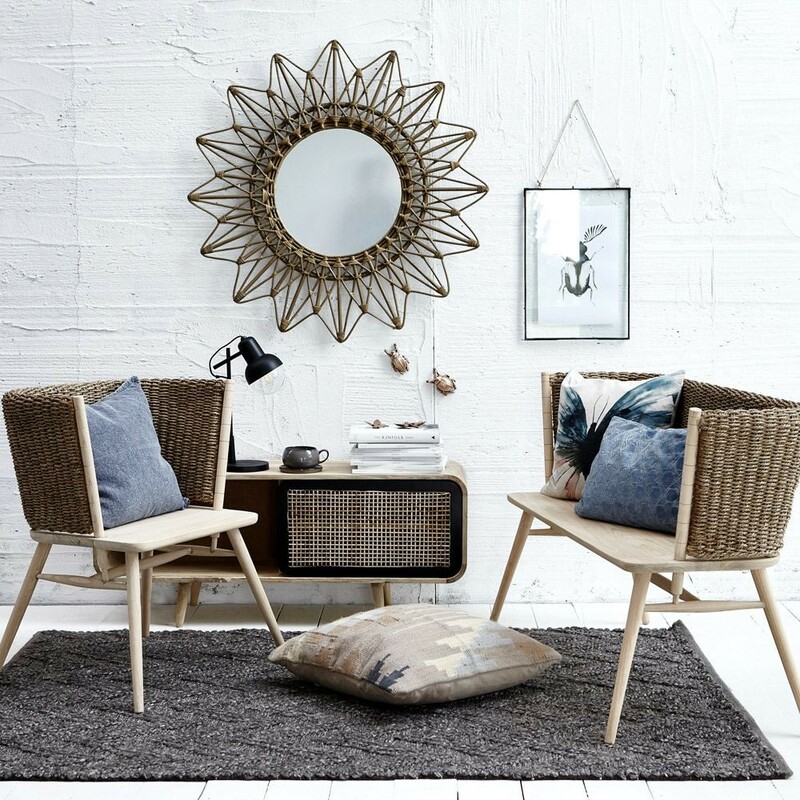 A veritable chameleon, rattan complements a range of decor styles, from Scandi to boho and even country. Subtle low-level furnishings like coffee tables are a great way to integrate natural texture to an existing scheme. Light and rustic, this cage-style model from Made in Design is crying out for a succulent and a few magazines. And thanks to its open base, it can easily be repurposed as a basket for soft furnishings if you fancy changing up your space. HERO BUY: Baril coffee table, £192 ($250), Made in Design. If you're short on space or simply want to make a dramatic statement, an oversized pendant lampshade is the way to go. Go solo or make it a focal point with an arrangement of three. 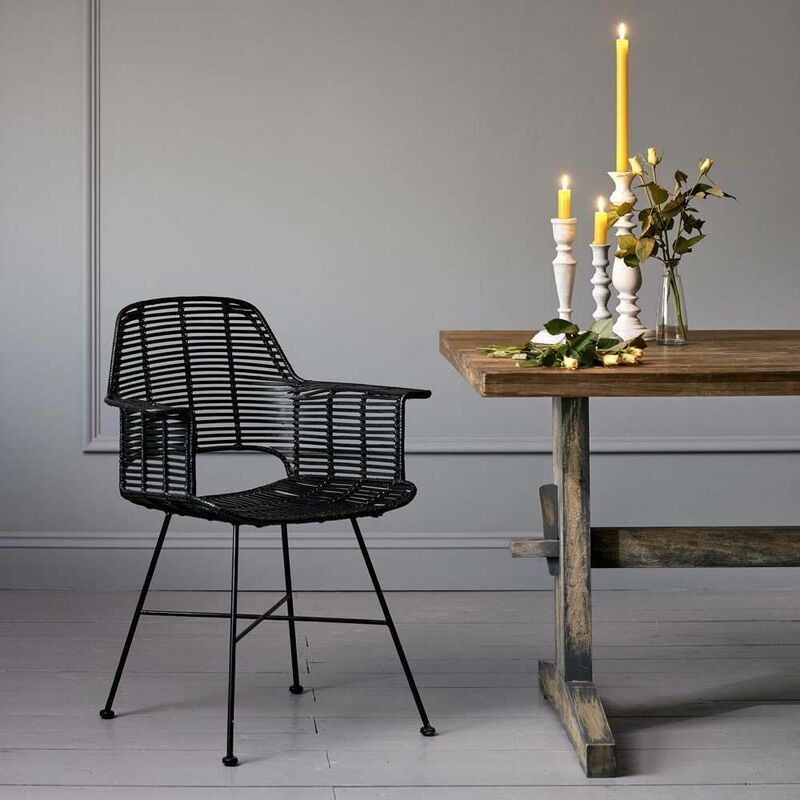 For an especially striking scheme with a moody modern edge, opt for black rattan. The best part? The perforated shade will cast enchanting shadows on the walls when the sun goes down. HERO BUY: Large rattan lampshade pendant, £210.50 ($274), Trouva. You don't have to spend boatloads to master this tactile trend. Updating smaller accessories such as storage baskets is a cost-efficient way to incorporate rattan into your home interior. Whether you need somewhere to store blankets in your living room or a laundry basket in your bedroom, this gorgeous IKEA design is a real steal. HERO BUY: SNIDAD Basket, £25 ($33), IKEA. Shake up the levels in your living space to create a scheme with real impact. Harking back to rattan's heyday, this hanging bowl chair is giving us 60s nostalgia by the bucketload. Plus, suspended furnishings are a great way to utilise a small area if you're tight on floor space too. The ultimate retro throwback, this handmade model from Out There Interiors is bound to be a hit with guests of all ages. HERO BUY: Hanging Rattan Bowl Chair, £540 ($705), Out There Interiors. A little embellishment can go a long way – this quirky rattan-framed mirror is a stunning reimagining of a simple circular looking glass. A latticed or starburst design can add real architectural interest to an uninspiring hallway or command the whole room as a textural focal point in a lounge or bedroom. Pair with subtle wicker accessories to carry through the rustic finish, or commit to an all-out woven scheme with rattan chairs and a sideboard. HERO BUY: Lene Bjerre Lellie mirror, £309 ($402), Houseology. If you want to create a calming nature-inspired bedroom, you don't have to go all out on bulky pieces of furniture. A simple headboard update can provide all the wow-factor you need without the major expense. This oversized rattan fixture can be easily clamped between the bed and the wall for an instant oasis in no time at all. We love its intricate braided design, which transforms a simple bed frame into an elegant slumber spot. 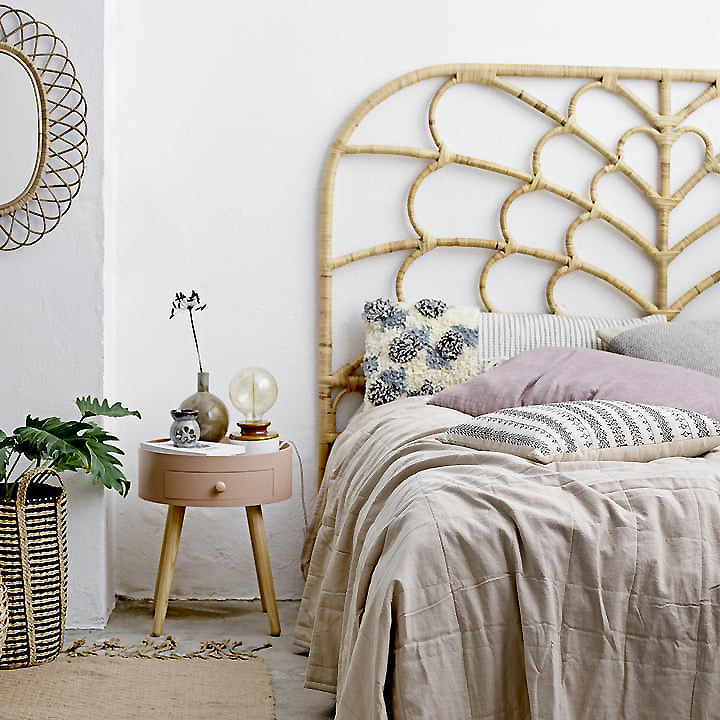 HERO BUY: Rattan headboard, £342 ($444), Bloomingville. Inject au naturel vibes into an open-plan space with a rustic rattan divider. Not only will it help to zone a multi-use room that lacks definition, but its organic texture will impart warmth and cosiness into your living areas. An on-trend interpretation of a classic Regency style, we love the timeless silhouette of this three-panel model – the perfect chic addition to a bedroom or sitting room. 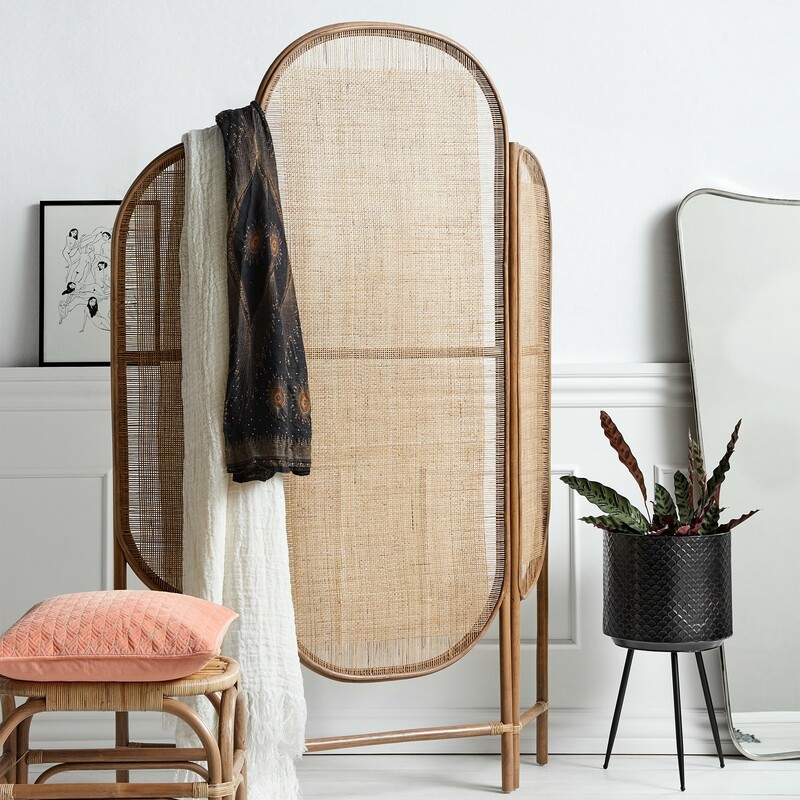 HERO BUY: Handwoven rattan folding screen, £470 ($610), Out There Interiors. Unconvinced by rattan in its natural state? There are plenty of coated alternatives out there to suit even the most discerning of homeowners. If sleek crisp lines are more your style, then these black sculptural tub chairs are sure to be a winner. A dramatic way to offset a traditional wood dining table, they ooze style and sophistication for an instant uplift to a rustic scheme. Pin legs and structural cage-style weaving complete the cool contemporary design. HERO BUY: Black round rattan tub armchair, £250 ($325), Graham and Green. Fitted with a woven surround, we can't think of a better start to the day than sitting down at this dressing table in warming rattan. Balancing sleek lines with cosy tactile notes, this gorgeous vanity elevates a neutral bedroom scheme into something special. Pair with a rattan pendant and headboard to complete the zen-like feel. HERO BUY: Liana dressing table, £379, Made (UK delivery only). If you're not in the market for a major purchase, a few subtle hints of rattan can be all you need to create a cool, calming interior. These woven candle holders are a creative use of natural materials and a great way to add texture to even the smallest of shelves. Offset with a vibrant pop of colour and some greenery and you're shelfie-ready. HERO BUY: Rattan pillar candle holder, from £45 ($59), Amara.